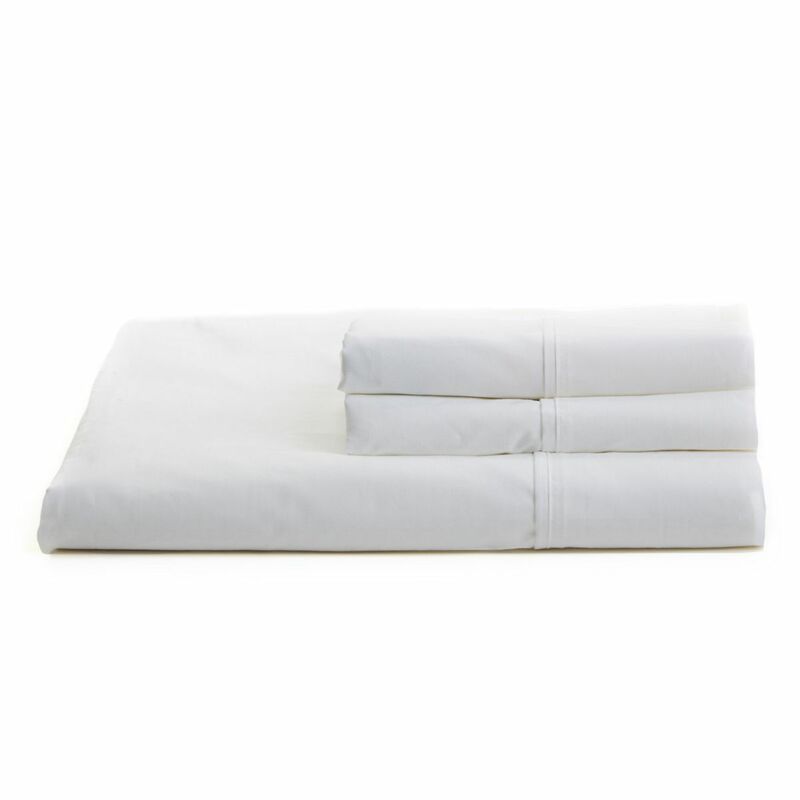 More about Solid White Twin XL Sheet Set There's nothing like crawling into fresh sheets at the end of a long day. This basic yet beautiful set of solid white sheets by Nautica is a crisp, clean canvas and the first step to a beautiful bedding set. The neutral and solid colorway allows it to be mixed and matched with any duvet or comforter. Though not made by Marimekko, these sheets are the perfect complement to the Finnish brand's duvet sets. Made from 100% cotton percale in 200 thread count, it is soft, irritant-free and machine-washable. Care: Machine washable. Follow care instructions on label.